Finding new and interesting topics for an investment blog in China is a constant challenge. Are the topics too narrow, technical or too broad and obvious? We try to mix it around with something for everything. Since we are in China, we have decided to take some local inspiration also from things that are happening in China. Because if there is one area that the government is reforming and trying to change, it is banking, finance and the RMB. We think this represents a big step forward for the Free Trade Zone. I’m not sure that the will be a “third RMB exchange rate” if they allow complete and unfettered access between offshore and the Free Trade Zone – I would expect the offshore and the FTZ to converge and merge. Still, it will be interesting to see how this roll-out proceeds. Less than a month after the implementation rules of Free Trade Accounting Unit (FTU) was introduced, the Free Trade account (FT account) was also launched as scheduled. On June 18, 2014, PBOC Shanghai Head Office held the FT account launching ceremony. Bank of China Shanghai Branch (BOC), ICBC Shanghai Branch (ICBC), China Construction Bank Shanghai Branch (CCB), Shanghai Pudong Development Bank (SPDB) and Bank of Shanghai (BOS), the 5 banks became the first to access to PBOC Shanghai system and began FT account operation. BOC Shanghai Branch opened the very first FT account. Zhang Xinyuan, the head of the international settlement of BOC Shanghai Branch, told the National Business Daily (NBD) that, FT account will make receipt and payment process easier; it relatively liberalizes the FTZ to the offshore market, in the same time separates the FTZ from the rest of onshore market and draws a clear line in between. The launching of FT account makes many negative-list businesses doable now. Zhang Xinyuan also mentioned that a third RMB exchange rate may be created in FTZ in the future, apart from the current onshore and offshore rates. Zhang Xin, the president of PBOC Shanghai Branch, revealed that FT account introduction is being conducted throughout the securities and insurance industry and positive progress is anticipated in the near future. In addition, Shanghai Gold Exchange (SGE) will soon launch international gold business settlement operation in FTZ and will integrate it into the FT account system. The international gold board will be launched within the year at the latest. The five banks’ successful access to the system of PBOC Shanghai marked the official opening of the ‘freeway’ FT account system. 7 banks, BOC Shanghai Branch, ICBC Shanghai Branch, CCB Shanghai Branch, SPDB, BOS, BOCom Shanghai Branch, CMB Shanghai Branch have signed agreements with some enterprises to set up FT accounts. Upon the launching date of the FT account, eligible FTZ-based and non-resident enterprises can open FT account in local financial institutions that have been accepted to access PBOC system in Shanghai. The FT Account offers 5 account types: FT account for FTZ-based enterprises (FTE), FT account for Non-resident enterprises (FTN), FT account for FTZ employed individuals (FTI), FT account for FTZ employed foreign individuals (FTF) and FT account for financial institutions in FTZ (FTU). PBOC Shanghai Head Office stated that FTZ-based and non-resident enterprises can make cross-border capital settlement for regular and direct investments through FT account now onwards. 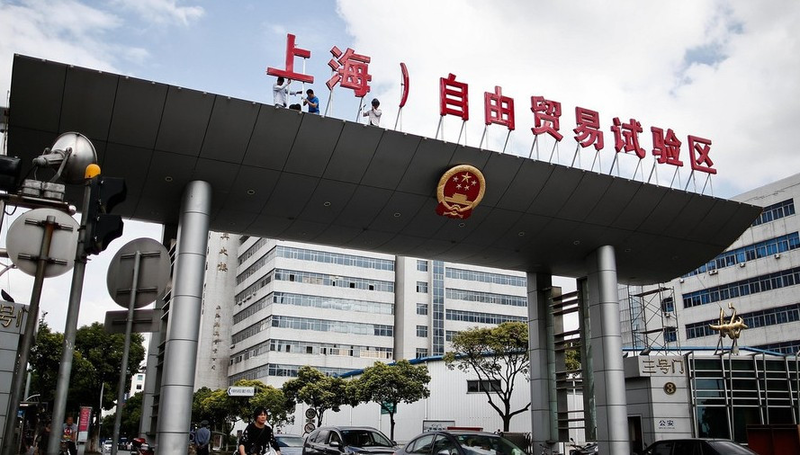 With policies on investment, financing and FX being gradually issued, the FT account is seen to provide strong support for a wider range of free trading, investment and financing activities in the FTZ. 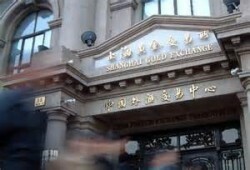 Another cheerful surprise is that Shanghai Gold Exchange (SGE) will integrate its soon-to-launch international gold business settlement operation into the FT account system. SGE as an onshore gold trading market, will access to the PBOC Shanghai Head Office system and introduce FT account to international gold investors for trading convenience. Based on this, SGE also signed ‘Settlement Bank Cooperation Agreement’ with ICBC, CCB, BOC and SPDB. CCB Shanghai Branch also mentioned to NBD that, according to the cooperation agreement, CCB will provide depository service to international members of the Shanghai Gold Exchange. Xu Luode, director of Shanghai Gold Exchange, introduced at the meeting that the international gold board is mainly designed to perform 2 functions: to attract overseas investors to trade in this market and to lure offshore capital. Xu Luode said that they will work hard to build a RMB-priced and Shanghai-featured Finance Ecosystem in China and an influential global gold market through the joint efforts of onshore and offshore capitals and institutions. They also want to build Shanghai into a global gold entrepot that can further reach Southeast and East Asian countries. It is believed that the international gold board is under good preparation and has completed registration process. Formulation of its code of practice is close to completion; the trading system along with the supporting system has been launched; the transaction warehouse has also been accepted by the China Customs. According to Xu, the international gold board will be launched within the year. When the ‘freeway’ FT account system was finally opened, banks all rushed into its fast lanes. BOC Shanghai signed a strategic cooperation agreement with the Shanghai Automobile International Trading Co. Ltd. – a wholly owned subsidiary of SAIC Motor. BOC also successfully processed the first FTZ transaction under its FTU, set up the first FT account and made the first outbound FDI transfer, currency exchange and L/C issuance and some other business. The vice president of BOC Shanghai Branch Huang Xuejun told NBD that, 24 clients have set up FT account at BOC today and so far about 2000 FTZ-based clients consider setting up FT account at BOC. Moreover, ICBC Shanghai Branch has successfully borrowed RMB100 billion from ICBC Singapore Branch via its FTU. The money will be used to finance China Shipping Develop Co. Ltd on its international trading business through its newly-set FT account. So, soon after receiving the funds, China Shipping Develop Co. authorized ICBC Shanghai to purchase foreign exchange and remit the funds out through FTU immediately. ICBC’s FTU used CNH exchange rate (RMB offshore rate) in this deal. CCB, SPDB and BOS also signed FT account business agreements with Bright Rice Group, Shanghai Shine-Link International Logistics, and BaoSteel Pudong Trading Company respectively. Director of SPDB FTZ Branch, Wang Xinhao said that all of SPDB’s 30 sub-branches in Shanghai plus his FTZ branch are all ready for FTU business. They will provide various banking services including current account, direct investment and innovative financing solutions and financial market services. But people are questioning: what is the exact difference between the FT account and the traditional banking solutions in regards to business trading, depository and lending? One thing is certain – deposit interest rate in FTZ remains the same with current onshore rate. Zhang Xinyuan believes that FTU will adopt an exchange rate formed together by FTZ and offshore market. “We all know that RMB has an offshore rate CNH and an onshore rate CNY, but in the future FTZ may form a third exchange rate. Different exchange rates will offer greater choice to clients and differentiate the foreign exchange business of Hong Kong, China onshore market and the FTZ”. The launching of FT account spawned exchange businesses in the FTZ and began to breed a possible new exchange rate. “Banks can set their own exchange rate. So I think in the early stage the exchange rate offered by banks will differ greatly, which also reflects the diversified services among banks. 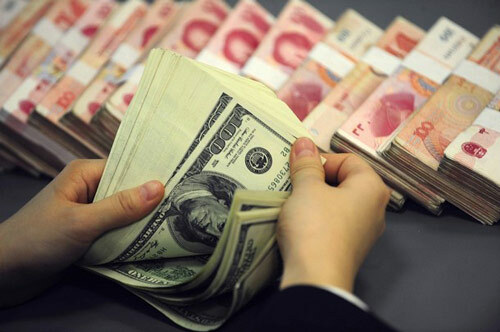 Gradually the exchange rate will tend to be converging and stable”, said Zhang Xinyuan.